This is from quite a long while ago, last year actually. 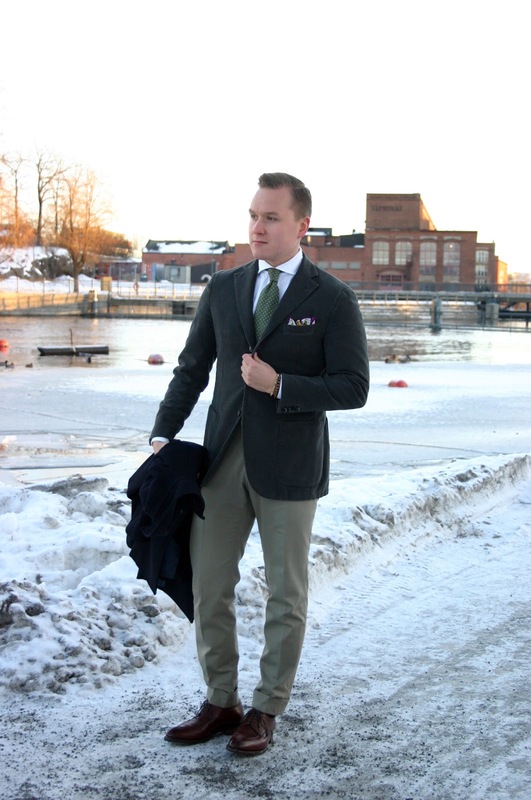 I had realized my olive pair of Incotex chinos had been long forgotten in my closet, and decided to try out wearing it with my dark green L.B.M. jacket. The items include a dark green L.B.M. 1911 moleskin jacket, white spread collar shirt, olive pindot tie from Berg & Berg, purple/green silk pocket square, brown suede belt, Incotex olive chinos and split toe derby shoes. 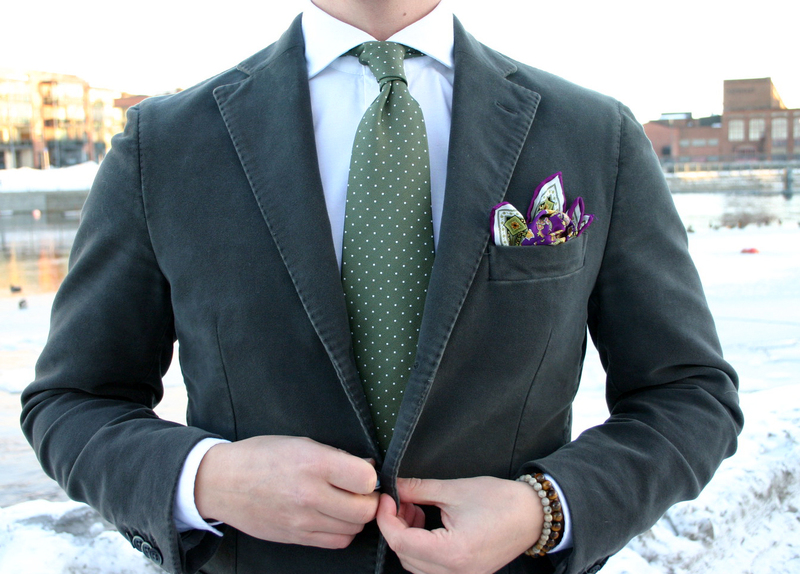 This one from Lubiams fits is pretty much my favorite of all the Italian unstructured jackets I've tried or owned. This one with it's dark green has seen a lot more use than I ever thought, and I have to say I'm quite fond of it. 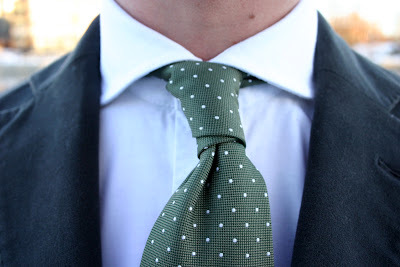 Berg & Berg silk pindot tie from last year's collection. Nothing spots the odd loose thread like a picture shot in the macro setting. 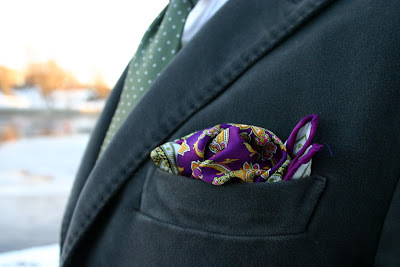 Both the jacket and the pocket square had some quality time with my scissors after I saw this picture.